New to the area or looking for a new vet? At Peoria Area Veterinary Group, we’re committed to providing advanced, comprehensive wellness and preventative care for your pet. We offer basic preventative and wellness care, surgery services, urgent care, boarding, grooming and more! Explore our state-of-the-art facilities, meet our talented veterinary staff and discover why Peoria Area Veterinary Group is Illinois’ premier pet healthcare provider. Rest assured that your pet’s health and well-being is always our top priority. We’ve proudly served the people and pets of the Peoria area since 1999. 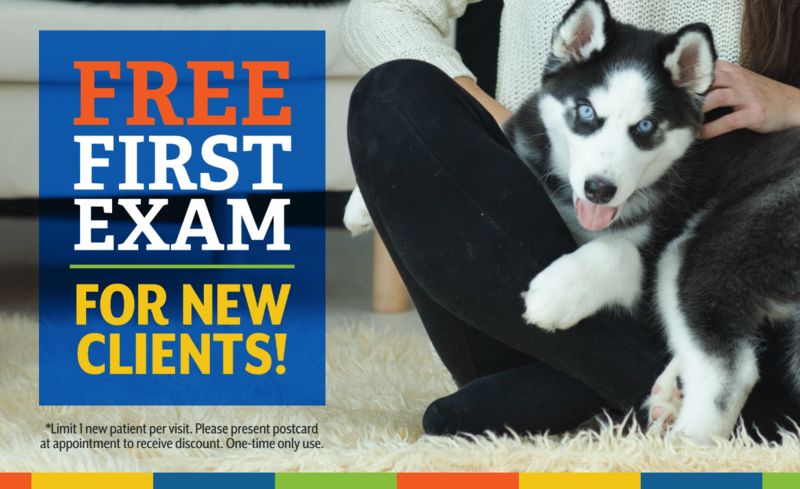 We would love to meet you and your pet and we proudly offer a FREE first exam for all new clients at any of our three convenient locations! Call us today, or fill out the simple FREE First Exam request form below and a member of the PAVG Team will contact you directly to schedule your free first exam. Offer applies to new clients only. Limited to one free exam per new client. Can not be combined with any other offer. Wellness and preventative care exams only. Claim Your Free First Exam Below!